The indriid genus Propithecus comprises the sifakas, medium-sized lemurs endemic to the forests of Madagascar. 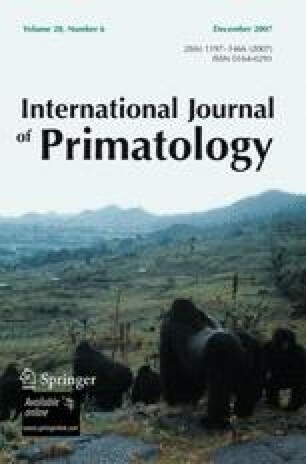 Traditionally, scientists divided the genus into only 2 or 3 species —Propithecus diadema, P. verreauxi, and, since 1988, P. tattersalli— with 4 or 5 subspecies in each of the first 2 taxa, but recent authors have suggested that many more distinct species should be recognized. We draw from quantitative and qualitative studies of craniodental traits to evaluate further the phenetic distinctiveness and taxonomic status of each named form of Propithecus. We recognize 9–10 species in the genus. The 4 or 5 species of the Propithecus diadema group —P. diadema, P. candidus, P. perrieri, P. edwardsi, and perhaps P. holomelas, if distinct— share several derived features, including large average body size and a mandible specialized for rotational chewing, and clearly comprise a closely related complex. The 5 species of the Propithecus verreauxi group —P. verreauxi, P. coquereli, P. deckenii, P. coronatus, P. tattersalli— are each highly distinctive morphologically and likely do not comprise a monophyletic group. In particular, we point out the highly distinctive cranial features of Propithecus coronatus, which researchers have traditionally largely overlooked. We thank Chris Smeenk (RMNH), Paula Jenkins, Richard Harbord, and Daphne Hills (BMNH), Judy Chupasko (MCZ), Darrin Lunde (AMNH), Peter Giere and Irene Thomas (ZMB), and Bill Stanley (FMNH) for access to museum specimens and other assistance. Judy Chupasko and Darrin Lunde took some extra measurements for us. Grants from the South Australian Museum and the Smithsonian Institution supported C. M. Helgen’s museum research abroad. Not all of the skulls are complete and offer the full set of measurements.